VariMax are the largest variable eyepiece projection adapters in production.. anywhere. They are so large a standard eyepiece projection adapter fits inside it! You can now use your larger more expensive eyepieces, even Zooms. Varimax fits any DSLR Camera (with appropriate T-Ring). VariMax is the largest projection adapter in production.. anywhere. 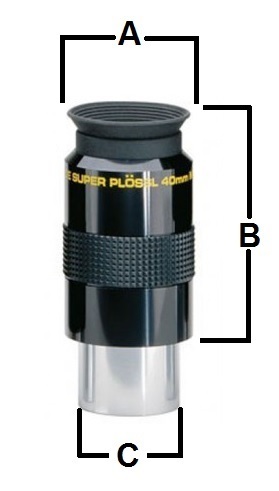 A 32mm Plossl eyepiece doesn't begin to fill the 1.25" VariMax. VariMax fits directly to a "T" Mount or 1.25" Focuser. 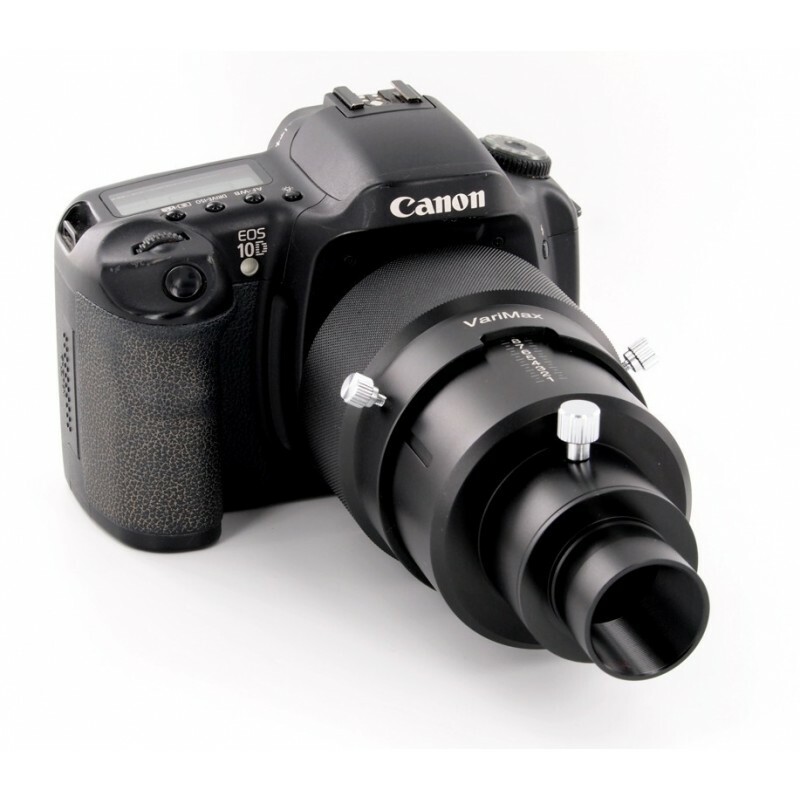 Fits 2" Focusers w/optional 2" Barrel. VariMax II directly fits 2" Focusers. If you have been looking for an Eyepiece Projection adapter you have probably noticed they all have a few things in common.. they only hold small eyepieces with an upper body diameter of 1.5" or less. This limits you to (at most) a 25 or 26mm plossl eyepiece. They also have no means of easily determining the projection length, this can be frustrating if you want repeatability or just like to record your equipment settings so you can refer back to them in the future. 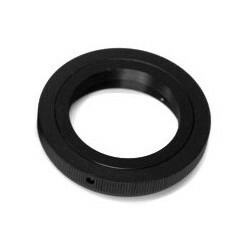 They also typically only fit 1.25" focusers and forget about finding one to fit your 2" Eyepieces. All of that is just fine for your average amateur astronomer taking a few pictures now and then. 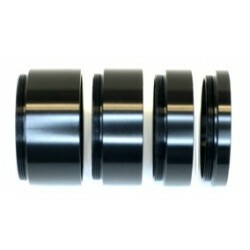 But if you take your astrophotography seriously have a good look at our new VariMax Pro-Series projection adapters. VariMax are the largest variable eyepiece projection adapters in production.. anywhere. They are so large a standard eyepiece projection adapter fits inside it! You can now use your larger more expensive eyepieces, even Zooms. The laser engraved scale enables you to easily record the projection length for repeatability with confidence. The upper body has an extra wide machine knurled grip ring for a sure grip even in the worst dew conditions. Both barrel sizes are also equipped with standard "undercuts" to protect your expensive equipment from a loose eyepiece port retention screw (as can sometimes happen from temperature changes). We also kept the portion below the eyepiece low profile, so VariMax requires no more back focus than a standard projection adapter. 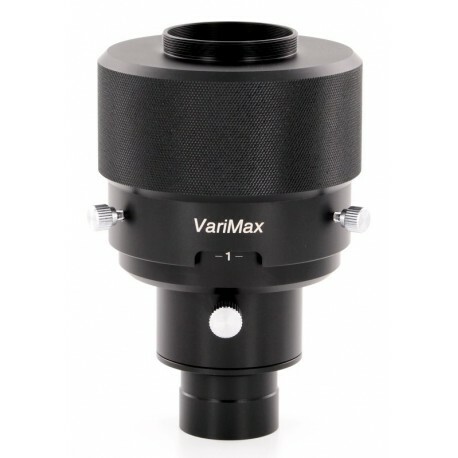 VariMax is also versatile, in addition to eyepiece projection you can use this adapter in various other configurations. For example you can use it with no eyepiece installed for use as a Variable TeleExtender, or you can use it with a Barlow Lens installed for TeleNegative Projection. Also see our DSLR Pro-Kits, they include the VariMax as well as other popular imaging items in a custom storage case. on the type of telescope used. 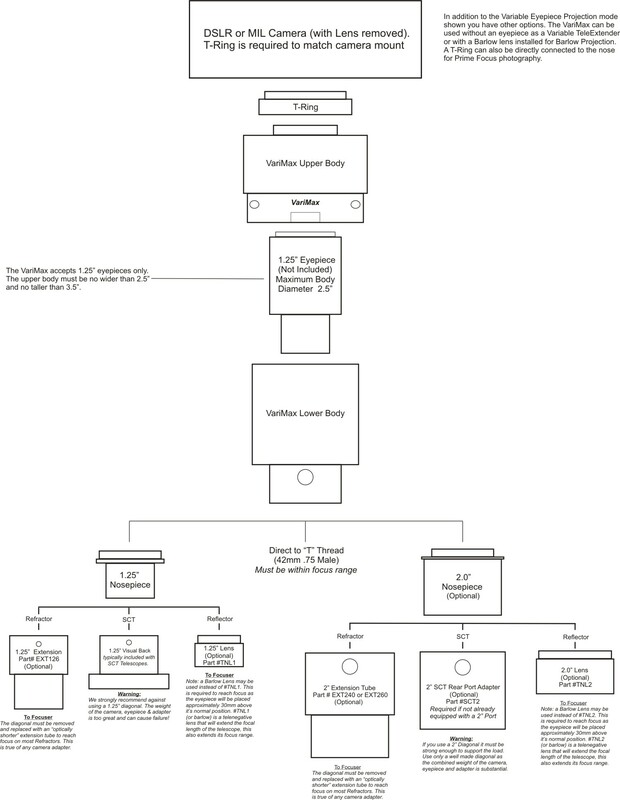 Please see the Setup Diagrams below for specifics. A – Must be 2.5” or less. B – Must be 3.5” or less.